Recent announcements by the Tanzania Chamber of Commerce Industries and Agriculture (TCCIA) boast Tanzania and China’s bilateral trade volume totaled 2.47 billion USD in 2012, and Tanzanian exports to China increased 867%, hitting 677 USD million, between 2001 and 2011. 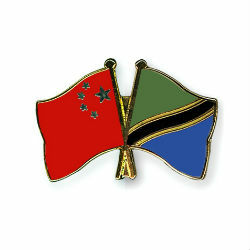 A delegation of Chinese government officials and businesspeople is currently visiting Dar es Salaam to meet with Tanzanian counterparts and discuss mutually beneficial investment opportunities. Prime Mr. Minister Mizengo Pinda and the Ambassador to the People’s Republic of China, Mr. Lu Youqing, met with the stakeholders on Tuesday. Mr. Youqing commented that the bilateral trade revenues of 2012 had increased 50% from the previous year, and that Chinese companies in Tanzania were currently employing 350,000 locals. The TCCIA also met yesterday to discuss a deal that was signed with China Council for the Promotion of International Trade (CCPIT). TCCI and CCPIT have signed notes of cooperation that include technology and knowledge transfer, trade information exchanges, research publications, economic cooperation and joint access to market and trade data. The TCCIA was established in 1988 with the support of the Tanzanian Government to strengthen the private sector, while the CCPIT is China’s largest institution for the promotion of foreign trade.